Being a business owner has its perks; like, being your own boss and the satisfaction of growing a company from the ground up. If you work out of your home office, you enjoy a much shorter commute than others in the workforce. Despite all the advantages, each company runs into the same issue no matter if they rent a downtown office or work from home. Space is at a premium, and, inevitably, everyone could use more of it. What options are there when you have a retail shop, and you are storing up inventory for holiday sales season? Are your employees tripping over boxes of documents or office furniture that is not being used? Declutter your office or store when you rent self-storage units from 5A Rent-A-Space near your Lafayette business. We are conveniently located, so you can quickly stow away and retrieve items while keeping everything organized and running efficiently. We can even help you move in with the use of our free moving van. Inventory control: One key to quality traffic for a brick-and-mortar business is “location, location, location”. Often, this means finding a small shop in a mall or strip plaza that has plenty of room for current items, but little space for any extra inventory. Free-standing shelves can be quickly erected in your unit to house boxes of goods and still be within easy access for those big sales. Unclutter the home office: Clutter stifles the creativity that entrepreneurs need. When the office closets are crammed, and the bookshelves are overflowing, offsite storage allows your creative juices to keep flowing as you work in a clutter-free workspace. Cheaper than renting a warehouse: Small businesses need to watch expenses closely to ensure they can function profitably for years to come. Renting space in a warehouse can be cost-prohibitive; however, a storage unit can provide much-needed space for less. Down-sizing office space, not a problem: If there comes a time when you need to move to a smaller area, off-site self-storage can hold excess and less-used items. You can proceed with peace of mind knowing everything can be stored. No long-term commitments: That is the beauty of using a self-storage unit; there is no need to commit to an extended rental agreement. If you only need a few months for your company’s move, that is entirely possible. 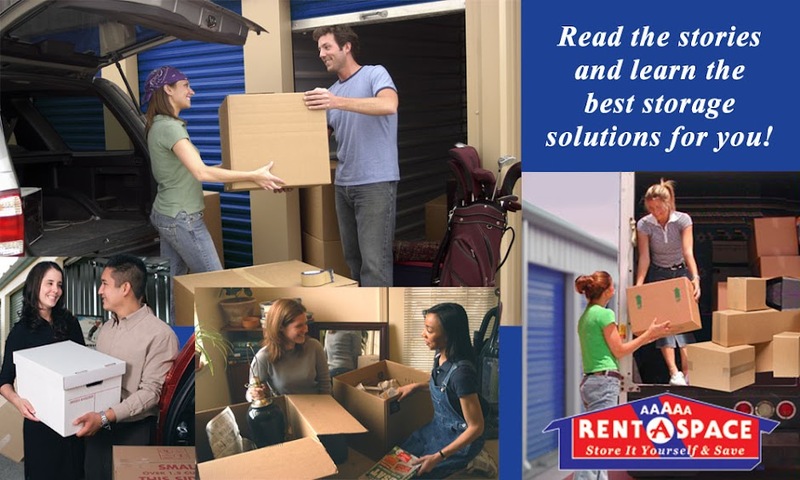 Keep your place of business running smoothly and clutter-free when you rent a 5A Rent-A-Space self-storage unit near Lafayette. We have a variety of sizes to accommodate your needs. Pick up some free-standing shelves and organize all those boxes of documents or tuck away unused office furniture and equipment and get back to doing what you do best…serving your customers! One of the best ways to get more interest and money when your home is for sale is to set it up for success with staging. If you watch shows on cable television, you can get several ideas to help with the process, or you can hire a professional to step in and do the work for you. When done right, you can see a high return on your investment. Make potential buyers clamor for the opportunity to place a bid on your house by creating an inviting space. Utilizing a self-storage facility near San Mateo can help. At 5A Rent-A-Space, we have the right size of unit to tuck back your stuff during the selling process. We can even move your belongings with our free moving van when you rent from us. Start by decluttering. Too many items crammed into rooms project an image that the home is small. Using a basement or garage is not the best option either. Instead, gather up all the extras and put them in a self-storage facility. This gives buyers an opportunity to see the full potential of your residence. Remove all personal items. Encourage house-seekers to envision the house as their own by taking out all those picture frames and other objects of sentimental value. Create a blank canvas for them to use their imagination. Lessen the amount of furniture. Do you still have that old, gold, crushed velvet couch from the 70s? Take it out! Is there a room that is used for too many functions? Lessen the load by removing extraneous furniture, so the place has a singular purpose again. Your temporary self-storage unit can keep things out of sight, yet easily accessible. Paint the rooms a neutral color. That bright red living room may not be as appealing to strangers as it was to you. Consider repainting rooms in neutral earth tones instead. Conduct minor repairs. Have a couple of small holes in the drywall down the hall? Go ahead and repair them, then repaint. Get the “Honey Do” list out and knock some items off it! Enhance the home’s curb appeal. Get outside and clean out the gutters, rake up debris, and remove any unsightly toys, boats, broken planters or anything else that distract from the outside appearance. Add some flower pots or make some enhancements with a fresh coat of paint as needed. Make the most impact and gain high returns for your dollar when staging your home for sale in San Mateo by renting a self-storage unit nearby. Storing extra clutter and personal belongings in a 5A Rent-A-Space unit can take your rooms from ho-hum to wow! We have a variety of sizes to fit your needs. We can even move you in with our free moving van when you rent from us.